A writer's life is rife with rejection. Agents and publishers that don't respond to queries. Beta readers who can't make time to actually read. Reviewers who do bother to email back with "That is not something I would ever read!" (but you specifically listed urban fantasy featuring a strong female protagonist!). Poor sales. Then . . . NO SALES. It gets worse. A bad review. Not just any bad review, an unfair one. Unwarranted. It seems all the good reviews in the world can't take away the sting. Ugh. Talk about depressing. It seems ironic, then, that I have purposefully chosen this path when rejection is one of the scariest, most terrifying things I can think of. Of course, like every budding young writer eager to share her words with the world, I didn't think it would happen to me. People would want to read my stories, right? Convinced of my talent I went all in, dedicated a good portion of my life to writing. Still do. Of course that hasn't stopped the rejection from raining down on me. But there is something about knowing that it's coming, knowing that in the literary world rejection is part and parcel to participation, which has somehow made it easier to accept. In fact, since it is so expected, when its opposite happens it is pretty darn exciting! What's better than waking up to a new five star review? Or having a real live fan?! Keep writing. Don't let rejection tear you away from your art, pour those emotions into it instead. Get some exercise. Yup, you've heard it before. Endorphins, they make you feel better! It's amazing how much easier it is to put "failure" into perspective after a run. 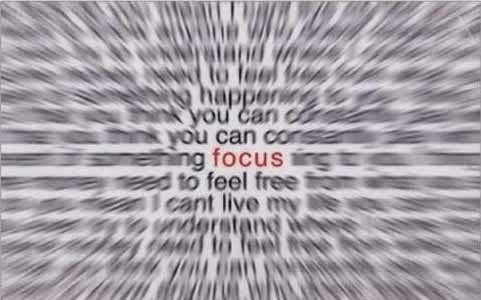 Don't focus on others' success. Congratulate your latest author friend to shoot to stardom, toast them at their release party, but don't compare yourself to them, don't compare your books. It won't get you anywhere. Asking them to write a review or feature you on their blog would be a much better use of your connections. Have a cry day. OK so pretty much NO ONE has bought your book since it launched last week. Your friends and family promised but they haven't exactly followed through. Furthermore, someone has left a scathing two star review. Ouch. Go ahead. Cry it out. Spend the day in bed. But then... "You've got to get up, get out, and get something... " (Outkast, 'Git Up, Git Out') Again, keep writing! Sure, there are plenty of great anecdotes out there about indie authors who rocketed to fame almost immediately, or who got to quit their soul sucking jobs to write full time after just a few books (my personal dream), but those aren't the norm. If you want it you have to keep writing. And editing. And promoting. You have to do all of this knowing that there is no guarantee. In short, writing is not for the faint of heart. Unless you write only for yourself and never share it with anyone else (what's the fun in that?! ), you will eventually get bitten by rejection. The key is to treat the wound and move on, keep your chin up and keep writing. What was the best book you read in 2014? I read a lot of books, sometimes one a week, so it’s difficult to choose. One of my favourite books this year was Paris Syndrome by Tahir Shah (see review), then right at the end of December Susie Kelly made it easy for me with her outstanding I Wish I Could Say I Was Sorry. 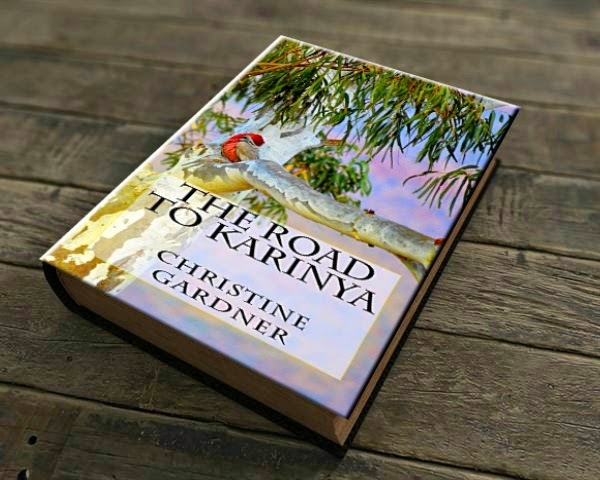 Modestly described as ‘a memoir of life in post-war London, colonial and post-colonial Kenya, and a dysfunctional family’, I must admit I was interested because I was also living in Kenya at the same time as Susie, during the difficult and dangerous transition to independence. I was delighted with the evocative details on almost every page that took me right back to my childhood. What I didn’t expect was to be put through every emotion from laugh-out-loud humour to heart-wrenching sadness. This is a wonderful recollection of a fascinating life – yet also a story which Susie admits was very difficult for her to write. This book had me gripped from the first page and left me feeling quite emotional at the end. Susie wins my ‘best book of the year’ without hesitation for the quality of her writing and the honesty and truth which makes it such a great read. 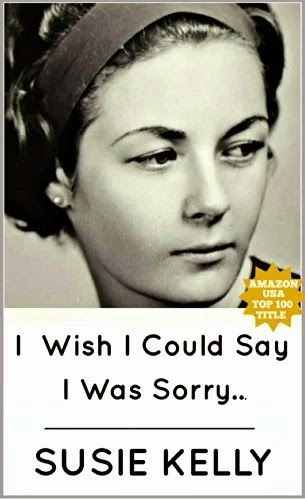 I highly recommend I Wish I Could Say I Was Sorry and happily award a rare five out of five stars. Susie Kelly was born in post-war London and spent much of her childhood and young adulthood in the beautiful country of Kenya. She now lives in south-west France with a menagerie of assorted animals and is passionate about animal welfare. 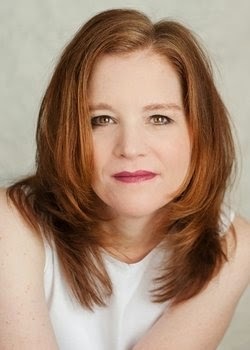 Her first book Best Foot Forward was published by Transworld Publishers in 2003, followed by Two Steps Backward in 2004, and A Perfect Circle in 2006. Since 2011 Susie's books have been published by Blackbird Digital Books, whose theme is strong, adventurous women living life to the full. To find out more visit Susie’s blog and find her on Facebook and Twitter @SusieEnFrance. 2013: Al Cohen, an American in search of his European heritage. 1944-1946: Friedrich Werner, an officer of the Wehrmacht and later a prisoner of war. His wife Greta, clinging to what remains of her life in war-torn Berlin. 1799: Suzanne de Beaubigny, a royalist refugee from revolutionary France. 1517: Richard Mabon, a Catholic priest on pilgrimage to Jerusalem with his secretary, Nicholas Ahier. 1160: Raoul de Paisnel, a knight with a dark secret walking through Spain with his steward, Guillaume Bisson. 4000 BC: Egrasté, a sorceress, and Txeru, a man on an epic voyage. Transgressions, reconciliations and people caught on the wrong side of history. Omphalos. A journey through six thousand years of human history. Mark Patton was born and grew up on the island of Jersey. He studied Archaeology & Anthropology at Cambridge and completed his PhD at University College London. He has taught at the Universities of Wales, Greenwich and Westminster, and currently teaches with The Open University. He is the author of two previous historical novels, Undreamed Shores (Crooked Cat, 2012) and An Accidental King (Crooked Cat 2013). For more information please visit Mark Patton's website and blog. You can also connect with him on Twitter and Goodreads. in the Louisiana bayou, fight to survive. I get asked a lot about how I went about writing my first published novel, Hagridden. But recently, an Ohio writer, Ray Pantle, asked me something more specific: whether figuring out how to write Hagridden taught me anything general about how to write any novel. Writers like to say that you have to learn from scratch how to write each book, which is true. 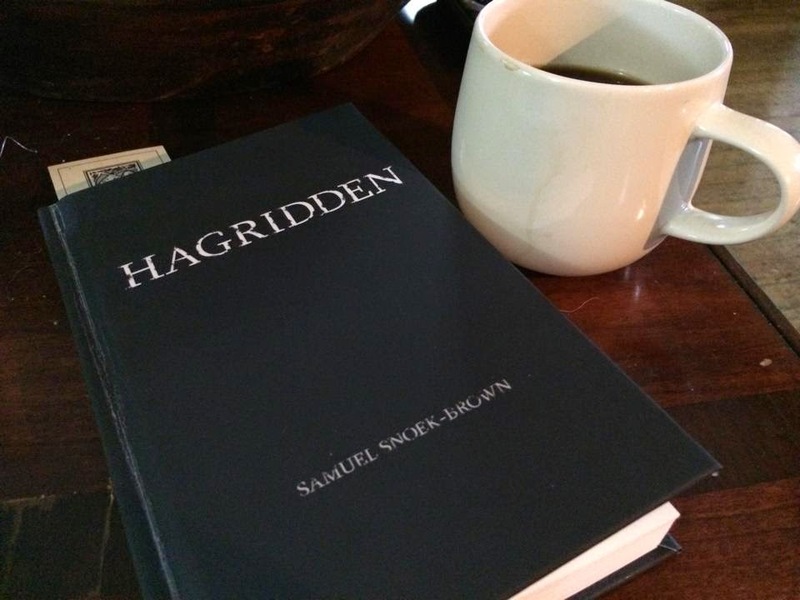 But while Hagridden is my first published novel, it's not my first attempt at a novel, and I learned plenty from those failures that helped me write Hagridden, just as I learned things from Hagridden that are helping me write my next novel. One of the first things I figured out for Hagridden was actually a holdover from the previous two novels I’d attempted: how to organize my writing time. When I wrote those previous books, I was in college, writing under the guidance of professors, and I kept on task because I knew people would be hounding me for the work. With Hagridden, I was on my own, and I had to learn how to discipline myself -- not an easy lesson for someone as undisciplined as I am. Fortunately, at that time my only job was writing, so I was able to schedule my whole day around the book -- a luxury I'd never had before -- and I learned to treat writing as my job. Those first few weeks I even put on a tie in the morning before I sat at my desk. That seriousness and that daily schedule became more important when I decided to write Hagridden as my first attempt at NaNoWriMo. Those thirty days sound like plenty, especially writing full-time, but I had a lot of story to tell. And I knew that if I was going to get through that novel as quickly as I needed to, I'd need to know where I was going with the story. So I made an outline. This is something I rarely do and dislike in principle -- to me, outlines feel so limiting, so prescriptive. But I knew that, without the guidance (and goading) of professors, I'd need something to keep me on task, which is why I opted for the outline. It helped that in those few months before drafting Hagridden, I had been writing a lot of short fiction, cranking out new stories rapidly, and I'd learned from that process how to let go of expectations -- how to ignore what I thought "ought" to happen in a story or how it “ought” to look on the page. The plot part of that freedom was easy enough: Tom Franklin once told me that sometimes you need to write the story you want to read most and Hagridden was a novel I very much wanted to read. So I learned to treat myself as my own first reader and just enjoy the story as it came, to let the novel reveal itself to me regardless of deadlines or outlines or any other lines. The style of the prose, though, was much harder to let go of. I always enter a story knowing how I wish it would sound -- I love language, yearn for beautiful rhythms and phrases that sound like incantations--but it almost never comes out that way, or if it does it’s not a style I can sustain over long bouts of writing. Which is frustrating, and it tends to lock me up and prevent me from writing until the “right” words come. What the frenzied first draft of Hagridden taught me was that, as much as I still strove for that, I couldn’t let it get in the way of the writing. Eventually, I allowed myself to use just any old words, writing all manner of boring sentences, just to get the plot on paper. I trusted myself enough to know that I could always work with the language in revisions. These are the things I find myself working hardest to remember as I write my current novel: to take the work as seriously as a job; to commit to the writing in that way; to have a general plan for the story up front, so I know where I’m going (if not how to get there); and then write to enjoy the story, and know that the language will come in the revisions. And ultimately, to trust the process, and just write. 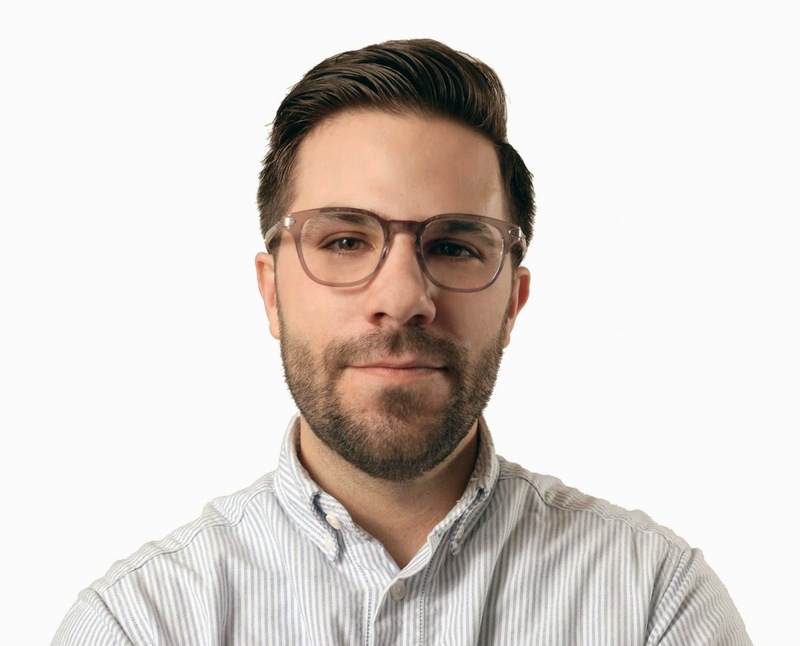 Samuel Snoek-Brown is the author of Hagridden, a Civil War novel from Columbus Press, and Box Cutters, a fiction chapbook from sunnyoutside press. 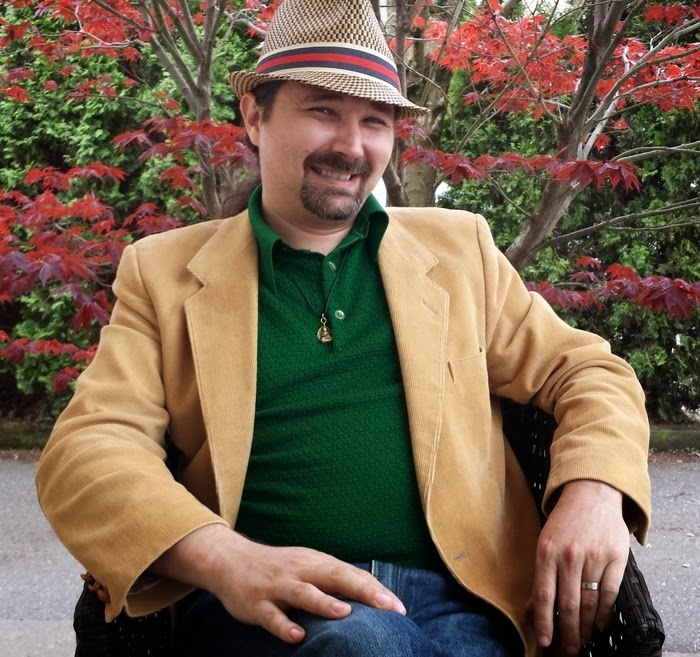 Samuel works for Jersey Devil Press and his short fiction has been published in Ampersand Review, Bartleby Snopes, Eunoia Review, Fiction Circus,Fried Chicken and Coffee, Prick of the Spindle, Red Fez, WhiskeyPaper, and others. He was shortlisted as a finalist in the 2010 and 2011 Faulkner-Wisdom competitions; his novella also was a semi-finalist in the 2010 Faulkner-Wisdom competition. He was a finalist for the 2013 storySouth Million Writers Award. He is the recipient of a 2013 Oregon Literary Fellowship. Samuel lives in Portland, Oregon, with his wife and their two cats, Ibsen and Brontë. Find out more at his website snoekbrown.com and find him on Facebook and Twitter @SnoekBrown. The Immortal World of Rome ~ Once a Roman, always a Roman. I landed in beautiful Washington State some fourteen summers ago and I love my new home. So much so that I can’t think of Redmond as my new home anymore, but just as the place where my heart is. At the same time, I am proud of my ancestry and I have always been fascinated by the city of Rome, where I had the good fortune to be born and live for several years. So, it won’t come as a surprise that the first two books I wrote, Gaia and Elios, were set both in Rome and Seattle, and some distant planets. In a more subtle way, Rome and the Roman culture permeate my Ginecean Chronicles as well. The language spoken by the enslaved men is Latin, and Ginecea itself is none other than a dystopian copy of the Eternal City itself. One year ago, after publishing the last title in The Ginecean Chronicles, I started thinking about the next series. The idea of writing a paranormal and urban fantasy saga with Rome in the background had been percolating in my mind for quite some time, and without further ado I embarked in a journey of rediscovery of my Roman origins. I raided my local library and came back home with all I could find on Rome and the Romans. From cooking to voting, I wanted to know everything I could about those people. I spent hours taking notes. After a while, I become so absorbed in the task that I started daydreaming about walking through familiar places from my youth and being transported back to the Imperial times. I even tried a few Roman recipes, and among them the Roman Libum. One afternoon, fully inspired by my latest read, I baked the ricotta cake soaked in honey because I had to have a taste of what Romans ate. The libum I prepared resembled a similar modern preparation in both consistency, flavor, and also baked-goods’ smell. Not surprisingly, since the Italian cuisine has maintained that simplicity of tastes and ingredients over the millennia. A small part of all those notes I compiled over several weeks found its way into The Lost Centurion, the first title in The Immortals, that paranormal and urban fantasy series set in modern-day Rome I’d been thinking to write for so long. The Lost Centurion’s hero, Marcus Sulpicius Aurelianus, is an immortal Roman whose life is spent seeking revenge for the murder of his wife. Although the main story is set in the year two thousand and fourteen, Marcus has a hard time living in present-day Italy, and his mind often wanders to his past, to his wife, and to the days spent in the field with his army. In addition to refresh my history lessons, I studied the geography of Rome to make sure I had all my locations straight. Despite having lived there for more than a decade, I used to walk or take public transportation to move around and never drove, which somehow has altered my memories in terms of distances. Several times, I consulted my family and friends still living in Rome to calculate alternative routes in the event of bad weather or heavy traffic. The modern city, above ground and below ground, is as much a character as the heroes and heroines populating The Immortals series. Its colorful atmosphere, its ancient ruins, its chaos, its constant traffic are an important part of all the stories published so far. Even though in The Immortal Greek and The Broken Angel, the second and third book in the series, there aren’t many flashbacks to the Roman past, both Alexander and Samuel must deal with Rome and its physical presence every step of the way to conquer their enemies and find love. The Eternal City is a multifaceted character that oftentimes is an ally, but sometimes likes to play villain. 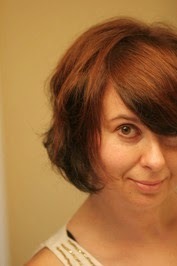 Monica La Porta is an Italian who landed in Seattle several years ago. Despite popular feelings about the Northwest weather, she finds the mist and the rain the perfect conditions to write. Being a strong advocate of universal acceptance and against violence in any form and shape, she is also glad to have landed precisely in Washington State. She is the author of The Ginecean Chronicles, a dystopian/science fiction series set on the planet Ginecea where women rule over a race of enslaved men and heterosexual love is considered a sin. She also published two other series: the futuristic love story across the universe, Elios & Gaia, narrated in two books; and the paranormal romance/urban fantasy series The Immortals set in Rome. Stop by her blog to read about her miniatures, sculptures, paintings, and her beloved beagle, Nero. Sometimes, she also posts about her writing. Find our more at Monica's blog: www.monicalaporta.com find her on Facebook and Twitter @momilp. 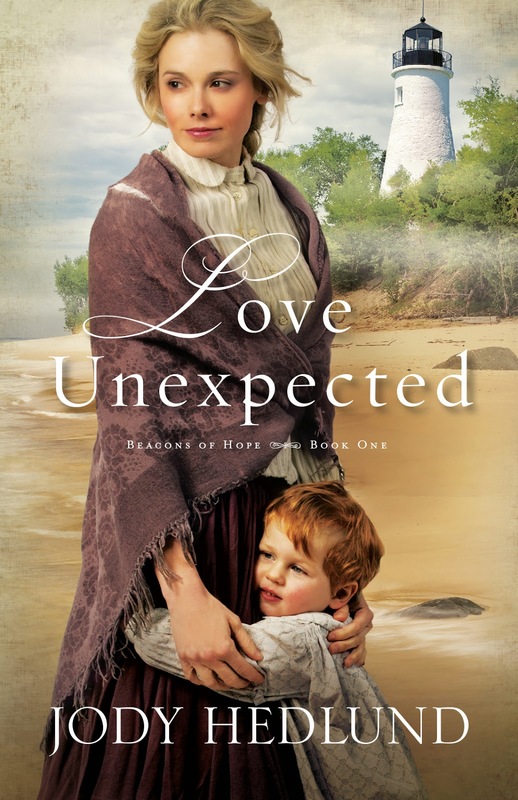 All Emma Chambers ever wanted was a home, but when her steamboat sinks just outside Presque Isle, she’s left destitute and with no place to stay. An unlikely solution arises when the lighthouse keeper arrives in town. He’s just lost his wife and is having a difficult time caring for his child. So a traveling preacher gets the idea that the keeper and Emma might be the answer to each other’s dilemma. After a hasty marriage, she finds herself heading to the lighthouse with this handsome but quiet stranger. Nothing in her aimless life, though, has prepared her for parenting a rambunctious toddler, as well as managing a household. Set in 7th century England, The Oblate’s Confession tells the story of Winwaed, a boy who – in a practice common at the time – is donated by his father to a local monastery. In a countryside wracked by plague and war, the child comes to serve as a regular messenger between the monastery and a hermit living on a nearby mountain. Missing his father, he finds a surrogate in the hermit, an old man who teaches him woodcraft, the practice of contemplative prayer, and, ultimately, the true meaning of fatherhood. When the boy’s natural father visits the monastery and asks him to pray for the death of his enemy – an enemy who turns out to be the child’s monastic superior – the boy’s life is thrown into turmoil. It is the struggle Winawed undergoes to answer the questions – Who is my father? Whom am I to obey? – that animates, and finally necessitates, The Oblate’s Confession. While entirely a work of fiction, the novel’s background is historically accurate: all the kings and queens named really lived, all the political divisions and rivalries actually existed, and each of the plagues that visit the author’s imagined monastery did in fact ravage that long-ago world. In the midst of a tale that touches the human in all of us, readers will find themselves treated to a history of the “Dark Ages” unlike anything available today outside of textbooks and original source material. Peak received his baccalaureate degree from Washington & Lee University and his master’s from the creative writing program at Hollins University. He works for the Talbot County Free Library on Maryland’s Eastern Shore. Thanks to the column he writes for The Star Democrat about life at the library (archived at http://www.tcfl.org/peak/), Peak is regularly greeted on the streets of Easton: “Hey, library guy!” In his free time he likes to fish and bird and write long love letters to his wife Melissa. For more information please visit William Peak's website. 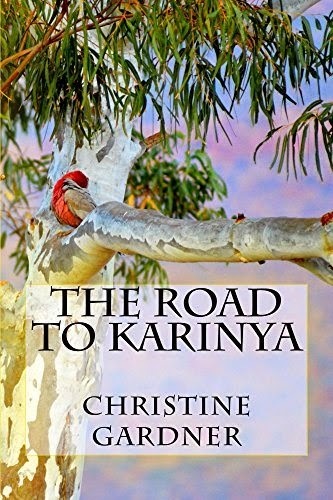 Prue King is nineteen and lives on Karinya Station, one of seven girls. 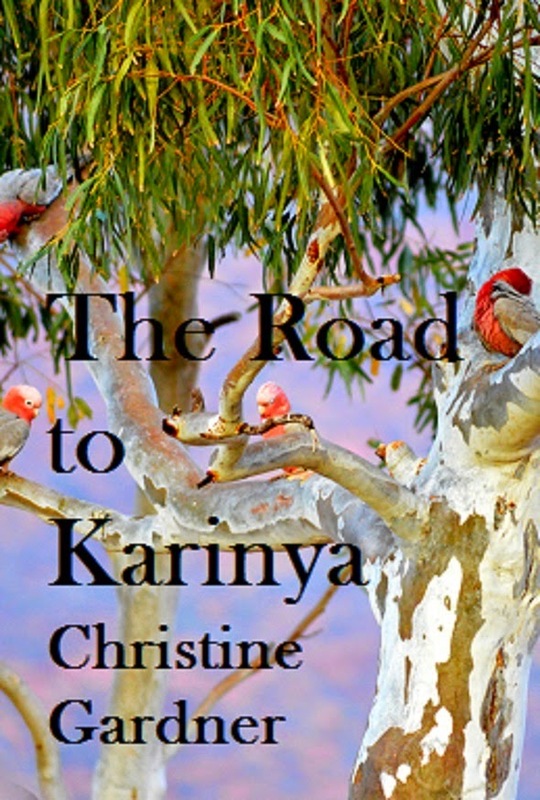 She and her friend Sally decide to go on the adventure of a live time—a road trip, right around Australia. Neither Prue nor Sally is in any hurry to settle down, unlike some girls their age. They want to see the country and be independent. When they meet brothers Dan and Steve on the Sunshine Coast Prue is stunned by her feelings for him, but her plans remain the same. She and Sally are determined to get to Perth where they will live for at least a few months and decide what their futures hold. When the girls leave the brothers behind though, a horrifying experience will change their plans and their lives, perhaps forever. Pick up a copy of this spellbinding thriller. Evolved Publishing presents a gripping glimpse of the near future, in which a twisted serial killer finds power in a corrupt political culture. When her 19-year-old son Jack miraculously recovers from a serious head trauma, Maggie is sure her luck has changed. But when she's abducted by a shadow from her past - a phantom with dangerous sapphire eyes - it's up to Jack and his younger brother Tom to unravel the mystery and save their mom from a deadly psychological battle. The brothers seek help from their colorful great aunt, who exposes them to a world of nefarious family secrets, explosive government conspiracies, and a series of horrific murders. Together they must navigate a dark underworld full of political subterfuge and class warfare. Yet as they search for their mother, Jack changes—raked by skull splitting headaches and weird visions. How exactly did he recover from his coma, and how does this tie into the psychopath who’s abducted their mother? Will Jack and Tom save Maggie before her abductor reaches his shatter point? Does Jack have enough time left? 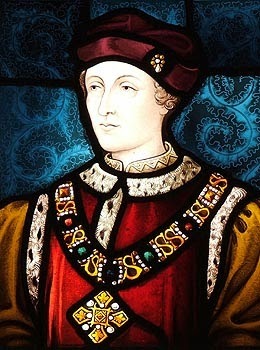 Henry the sixth, (Harry to his friends and one of our most misunderstood kings) has been popping up in all my books this year so I thought we should remember his birthday. His mum, the beautiful Queen Catherine of Valois had just turned twenty. Her husband, King Henry V was far too busy to come home from the siege of Meaux outside Paris, so mother and baby had to spend their first Christmas without him. Fortunately for Catherine, she had good company, including Countess Jacqueline of Hainault and her lady-in-waiting, Lady Eleanor, the subject of my latest novel The SecretDiary of Eleanor Cobham. Countess Jacqueline actually held young Harry at the font for his christening—but sadly his dad never saw him, as he died from dysentery and never returned from France. No one really knows who did it but examination of Harry’s skull shows he died from severe trauma to the back of his head. One theory is that he was hit with a hammer or similar whilst saying his prayers. Anyway, let’s remember him as the only King of England and France, who always wished for peace. The second book in the Parched series, The Brothers’ Keepers is an epic journey across Europe, spread over ten days. Full of fascinating research, author NLB Horton draws on her experience of archaeological surveys as part of her master’s degree—and as a member of the venerable Explorers Club, an international, multidisciplinary society dedicated to the advancement of field research. We follow archaeologist Grace Madison’s search for her missing daughter Maggie. Grace is also trying to save her marriage and through this we explore perennial issues of faith, loyalty and love, as well as the choice between family or career. This is a book that rewards careful reading, as there are so many facets to the story (and possibly some I would only discover on a second reading). If you enjoy reading about ancient artifacts and legends you will find plenty here to keep you gripped. Recommended. After an award-winning detour through marketing and a master's degree from Dallas Theological Seminary, NLBHorton began writing at the crossroads of faith and espionage. 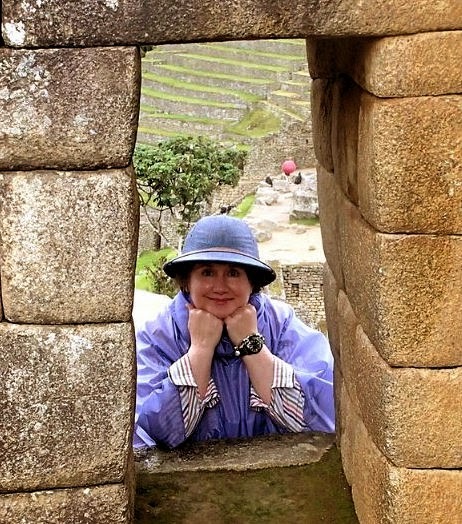 She has surveyed archaeological digs under heavy artillery fire from Syria and Lebanon and explored Machu Picchu. A member of the venerable Explorers Club and mother of two adult children, she lives atop a Rocky Mountain with her husband of thirty years. She’s passionate about her faith, archaeology, women’s issues, and the environment. NLB Horton’s first novel in the Parched series, When Camels Fly, was released in May 2014. 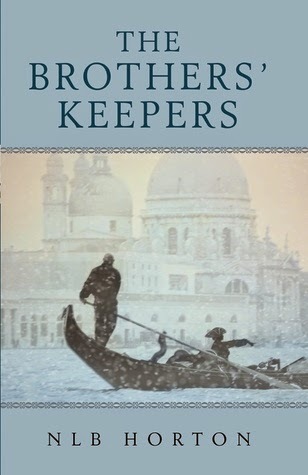 The Brothers’ Keepers is the second, and the third installment will be available in fall 2015.To find out more visit her website www.nlbhorton.com, become a fan on Facebook and find her on Twitter @NLBHorton. 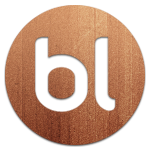 It all started with a brainstorm between myself, Co-Founder/CEO, David Goldenberg, and CTO/technical Co-founder Keith Woody. David was a long-time journalist and I was a literature major in college. Our mutual love of books led to us talking to dozens of authors - and we found the problem of growing a readership and putting books into their hands was universal and deeply felt. Out of that need came AuthorRise. 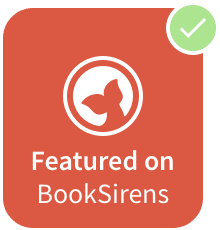 There are lots of promotion sites that offer authors a quick burst of marketing but we wanted to build something that supports sustainable, everyday actions that any author can take and go from zero readers to a successful business. If someone is serious about becoming a full-time author, it takes time, patience and perseverance. On the personal side, I attribute so much of what is good in my life to books, especially reading voraciously as a kid. My parents supported my reading habit without hesitation, even encouraging me to study literature in college despite it's lack of "real world practicality." My goal now is to support the environment that has helped me so much. 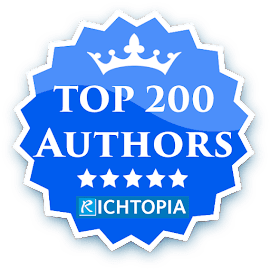 I think bringing great work into the world is one of the noblest pursuits anyone can undertake, and I just hope to be a part of helping as many authors as possible find the success they're looking for. For me writing has become a necessity. A compulsion. If I take a break from writing for even a few days (when real life kicks in) I suffer withdrawal symptoms, and worry about what my characters might be doing without me. Are they surviving if I let them off the leash? Have they changed tack without my being aware? Even if I take a deliberate break, my mind is evaluating new characters, new possibilities, and re-evaluating old ones. Considering new relationships. Would he really say that to her, when treason is sitting heavily on their shoulders?. What a splendid source of people and events and situations medieval history has become for me. Writing for me is also a solitary thing, something done behind a closed door and not shared with anyone until the completed script is dispatched to my editor. I make my own decisions about characters and scenes, those included and those omitted to make the most impact on the reader. I never talk over my plans. I worry over the various strands on my own, until I am satisfied with the outcome. I prefer it that way. When my editor reads it, then we talk and negotiate and work out a happy compromise to achieve the best end result for her, for me, and of course for the women of history about whom I write. I have an office where I work, a small room with a desk and a PC because for me that is the most comfortable way to work. I have a laptop but tend to use that only when travelling. In my office I can be surrounded by reference books and all the paraphernalia I find essential to put together a good story. I have two window with glorious views of oak trees on one side and a cider apple orchard on the other, with frequent buzzards circling overhead. I have to exert great self control not to lose myself in the scenery too often. The Welsh Marches are quite beautiful. I am definitely a morning writer, starting early - by 8.30 am - after I've cleared any urgent admin. Then I write through until lunch. I don't count words because first draft writing covers more ground than when I start editing and refining; here I work much more slowly. So I simply write for the time I have set myself. But even when my day's writing is over, the characters tend to live with me and keep me entertained - or anxious. I often find a need to make notes of what they might be saying, or directions of plot I had not previously thought of. So how do I write? Over the years I have changed my approach to writing but the beginning is always the same because it is historical fiction. 1. An historical timeline is essential: to plot the known facts, dates and the general order of events. This is where the the main body of research takes place, so I can know exactly who is doing what and when. This has to be the bedrock of historical fiction, otherwise it becomes merely fiction. 2. Next comes some characterisation, or as much as I can discover from the sources, both primary and secondary. Some characters are well documented. Some barely at all. But I need some idea of how my characters will react and inter-react in any given situation. My characters must be true to the traits they exhibited in real life. 3. Then there is the true start to the writing of the novel - for me it is the highlighting of the scenes that are absolutely crucial to the telling of the story. I often write them first, even if it's only a rough draft and completely out of context. Just so that I have them in place and I can see the drama unfolding. 4. I might write the end of the novel at this stage - although this can change as I write second and third drafts. 5. By this time my characters are very familiar to me, and their motivations fairly clear. This is the point at which I start at the beginning and write a full draft through to the end, linking all the mains scenes. By the time this is complete, I have something that feels like a complete novel, even if no one else would think so. 6. Then - the most enjoyable part of all - I begin to add layers, polishing and refining the plot, adding connecting links, thinking what it is that I need my characters to say through mood and action. This is where the historical detail begins to influence the scenes - the costume, music, details on where and how they are living. Characters in novels do not sit still and talk. This is where the book begins to come to life. 7. Altogether I write four drafts followed by a quick read through to test for pace and relevance. Where the pace drops, or the interest, that is where there is a need for some cruel editing out of what I have written, even if it is one of my favourite scenes. Sometimes the characters do not really shine through until the fourth draft. I need to be patient and believe that it will happen. 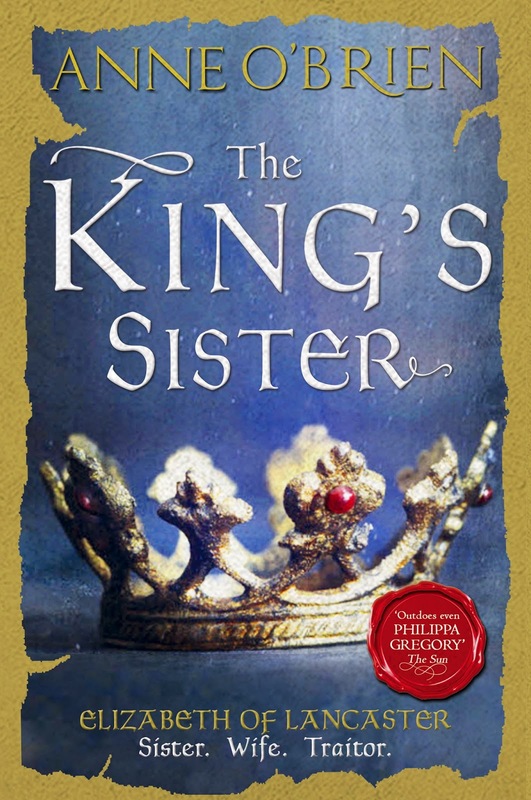 'The King's Sister', a story of love and treachery and betrayal at the Courts of Richard II and Henry IV. Anne O'Brien was born in the West Riding of Yorkshire. After gaining a B.A. Honours degree in History at Manchester University and a Masters degree in education at Hull, she lived in the East Riding as a teacher of history. 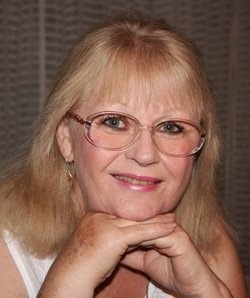 Always a prolific reader, she enjoyed historical fiction and was encouraged to try her hand at writing. Success in short story competitions spurred her on. 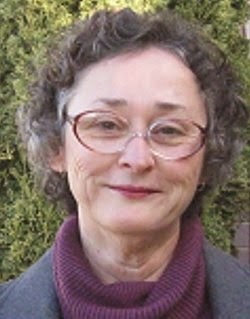 Leaving teaching, she wrote her first historical romance, a Regency, which was published in 2005. To date nine historical romances and a novella, ranging from medieval, through the Civil War and Restoration and back to Regency, have been published internationally. Anne now lives with her husband in an eighteenth century timber-framed cottage in the depths of the Welsh Marches in Herefordshire, on the borders between England and Wales. Since living there she has become hooked on medieval history. Virgin Widow, published in 2010 was Anne's first novel based on the life of an historical character, Anne Neville, wife of Richard Duke of Gloucester. 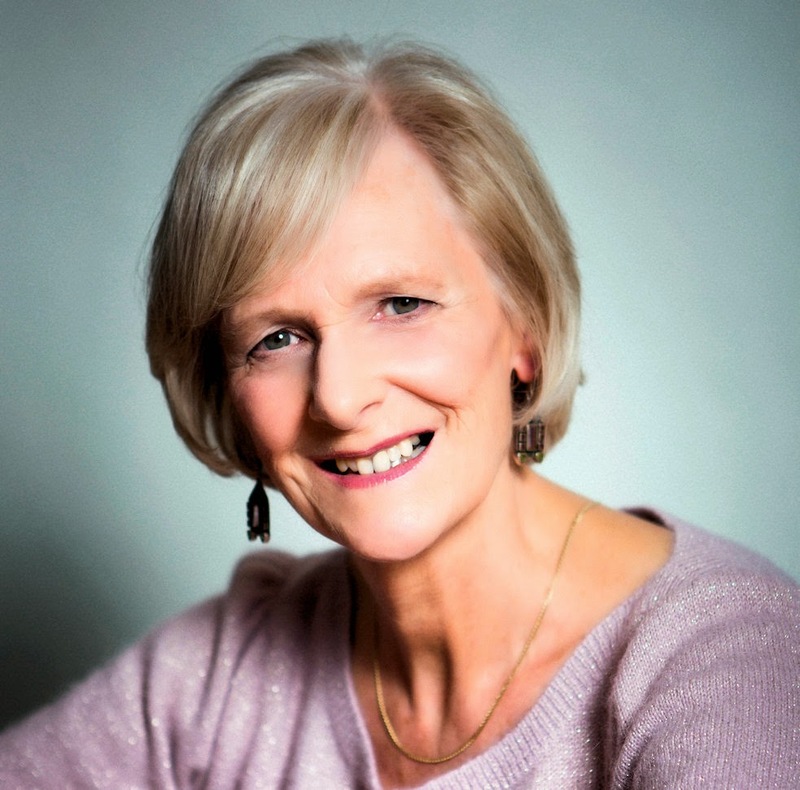 Her second novel tracks the early life of Eleanor of Aquitaine, through marriage, crusades and divorce, not to mention scandal, as Devil's Consort (In the USA published as Queen Defiant.) Other novels depict the scandalous life of Alice Perrers, mistress of King Edward III, who broke all the rules as The King's Concubine, followed by Katherine de Valois as The Forbidden Queen. Find out more at Anne's website www.anneobrienbooks.com and find her on Facebook and Twitter @anne_obrien.